Photo left: The management team at Ginza Yakiniku. From the left, Steve Chang (37, enterprise brand manager), Kenji Nishinakagawa (62, executive chef), Chris Chen (34, CEO). Photo right: The second Ginza restaurant opened on November 25, 2018. Located on the 2nd floor of a high-rise office building in North Sydney, the store faces the stairwell and lobby, and targets passing business customers. Starting at age 31, CEO Chris Chen was able to establish 16 stores in four short years. "When a new employee enters my company, we encourage them to follow their interests and choose the area they like. As someone who is responsible for management, I have an eternal sense of gratitude when an employee makes as suggestion or offers some advice; and we try to honor it. I hope that they work for my company forever, and this is why we all challenge ourselves together to be better. For this reason, I have been able to open up 16 stores," CEO Chen stated. According to Ginza Yakiniku restaurant's executive chef, Kenji Nishinakagawa (62), "I'm really not a hard-headed manager. CEO Chris accepts our suggestions with great sincerity, and we all rise to face the challenge together. Five years of working together has passed in the blink of an eye." Executive chef Kenji is a veteran sushi craftsman with a career of over ten years at a hotel in Sydney that was operated by a major Japanese airline, ANA. According to founding partner Steve Chang, "Seven years ago, Chris was a manager at an Izakaya pub. He showed himself to be a trustworthy person who always kept his word, and he had a fine sense of detail. I was working as an outside designer and knew that Chris had something special. 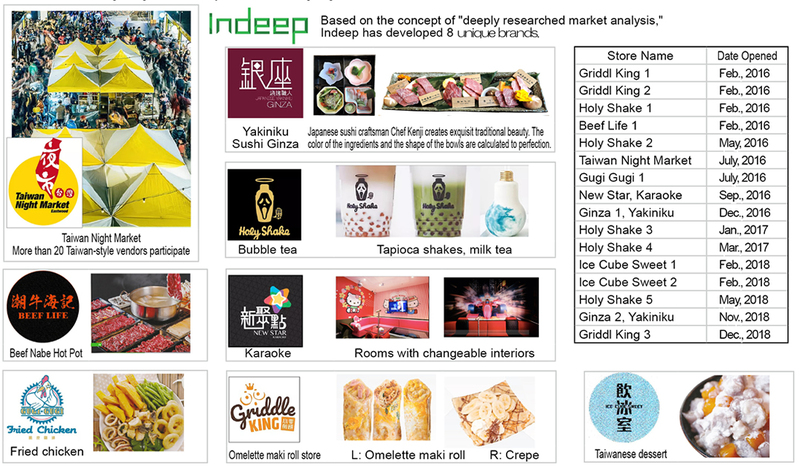 Two years later, we formed our independent company Indeep, together." The three-member management team is dedicated to elevating their brand's image. They hope to transform in people's minds, "Ginza, the world capital of high class brands" into "Ginza, Yakiniku city."